Check out my new blog at Hey, Call Me a Treasure Hunter. I am not a huge Conan fan but, to be entirely honest, I have watched the Beardpocalypse with great anticipation. I realize I’m a little late in posting this but I just had to share the end of the Beardpocalypse! May you all welcome in the new era of shaven Conan! As I mentioned in my previous post, The Man of Steel, I am a fan of Zack Snyder films. His newest, Sucker Punch, is due out late March 2011. I can’t tell you how excited I am to see this movie. The story follows the plight of a young girl in a mental institution who uses a fantasy world to cope with her depressing reality. It looks like the real world and the fantasy world that this girl creates in her head are somehow intertwined. Say what you will about Rockstar games. They are a controversial company who adds adult content into their games. They have made big, hell, huge mistakes in the past when it comes to their decision making. However, I have played through several of the Grand Theft Auto titles and, regardless of content, these games have amazingly deep story lines. I have never been let down by Rockstar’s intense and dramatic plots. Their games, if nothing else, are captivating stories about the conspiracies and betrayals that happen every day on the streets. Rockstar’s newest game title, L.A. Noire, is set in 1940s Los Angeles where the player will be required to complete a series of murder investigations. I don’t know anything about it yet but if it follows the rich traditions of the Grand Theft Auto series, then this game will be every bit as edge-of-you-seat thrill seeking as any film set in the 1940s-era. It really goes to show you how far games have come from Pong and Pac-Man. 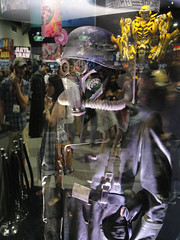 Games are truly reaching the levels that other art mediums have had for decades. I’m going to need to apologize in advance because I have actually seen Charade before. If you haven’t, you should. It’s a classic. 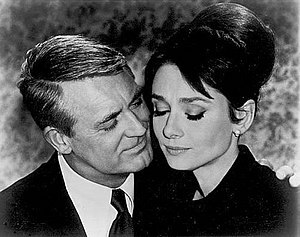 Let me begin by setting the expectation for the film: It stars the beautiful and enchanting Audrey Hepburn and the charismatic, handsome Cary Grant…not to mention a young Walter Matthau. The scene begins when Audrey Hepburn, Regina Lampert, meets the dashing Cary Grant, Peter Joshua at a resort where she is none too embarrassed to announce to anyone willing to listen that she is no longer in love with her husband, Charles Lampert, and is planning to leave him. The reason: He keeps too many secrets and has told her too many lies. Charles is killed and Regina learns that her husband was a secret agent wanted by the CIA, who has apparently stolen $250,000 from the United States government. When she is informed of her late husband’s occupation and the inheritance that she had no idea about, she learns that there are dangerous people in search of the money and they all believe that she is the one hiding it. Hilarity ensues when her new found friend Peter Joshua is not quite who she thought he was either. This is a wonderful film and it was very enjoyable to watch it again. I would highly recommend it.